Walmart on Thursday announced plans to give some employees a one-time bonus and boost its minimum hourly wage to $11—an indication that the lowest earners in the country are finally starting to see some benefit from the almost decade-long economic recovery. In addition to the raise and bonuses, which will be given on a sliding scale based on seniority, Walmart says it’s revamping maternity and parental leave benefits and introducing an adoption credit for employees. WalMart CEO Doug McMillon credited the recently passed tax bill for allowing the company to make the changes. “Tax reform gives us the opportunity to be more competitive globally and to accelerate plans for the U.S.,” he said in a statement. It’s unclear how much of that is spin. After boosting wages for some workers to $10-per-hour in 2016, Walmart was already on a path to paying $11-per-hour , especially after Target raised its minimum hourly wage to $11 last year. 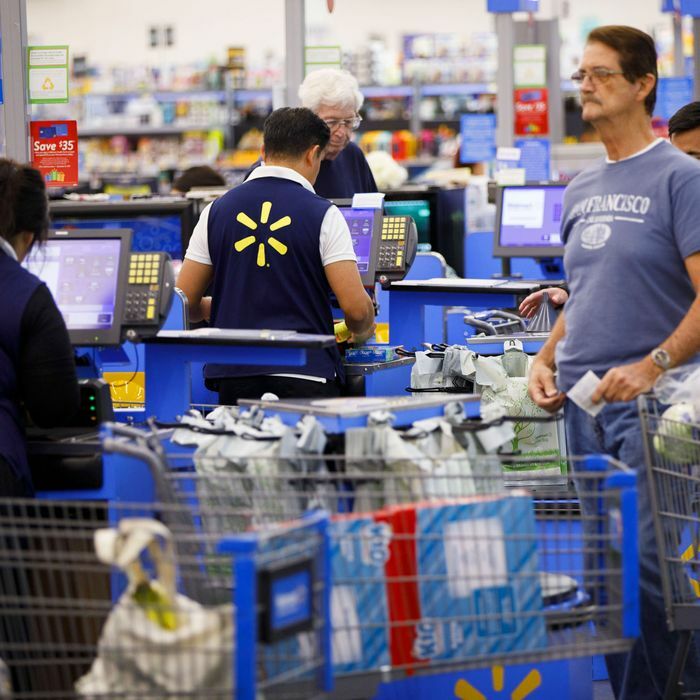 In any case, Walmart’s decision is a sign that employers are finally responding to the tight labor market by raising wages to compete for workers. Despite progressively lower unemployment rates and high corporate profits in recent years, wages have failed to grow much for most Americans. Among other things, economists blame the lack of bargaining power for lower-skill employees, such as retail workers, and the tendency for companies to reward executives and shareholders, rather than workers, when they’re flush with cash. By tying the raises to the tax bill, Walmart is looking for a PR win. But the workers whose paychecks just got bigger, if only marginally, won’t care about Walmart’s PR ploy. They’ll just glad to finally be seeing a piece of the booming economy everyone’s talking about. And given Walmart’s status as the country’s largest private employer, this move could benefit more than just its own workers if competitors respond with wage hikes of their own.